As the first wave of wintery winds cast off the last of the golden autumn leaves, the MFin Class of 2017 is at the half-way mark till the completion of the degree prorgamme. At this juncture, I wanted to share one of the things that I particularly enjoyed in the programme – Action Learning. Personally, the masters of finance programme at Sloan stands out because of its equal emphasis on the industry and practice aspects of finance. This is not only true in terms of the career development resources that is provided to help students with career-related queries but more so in Sloan’s unique infusion of industry elements into its curriculum. As part of the required curriculum, students on the MFin programme has to complete an “Action Learning” component which are opportunities to apply classroom knowledge to real-world business issues. 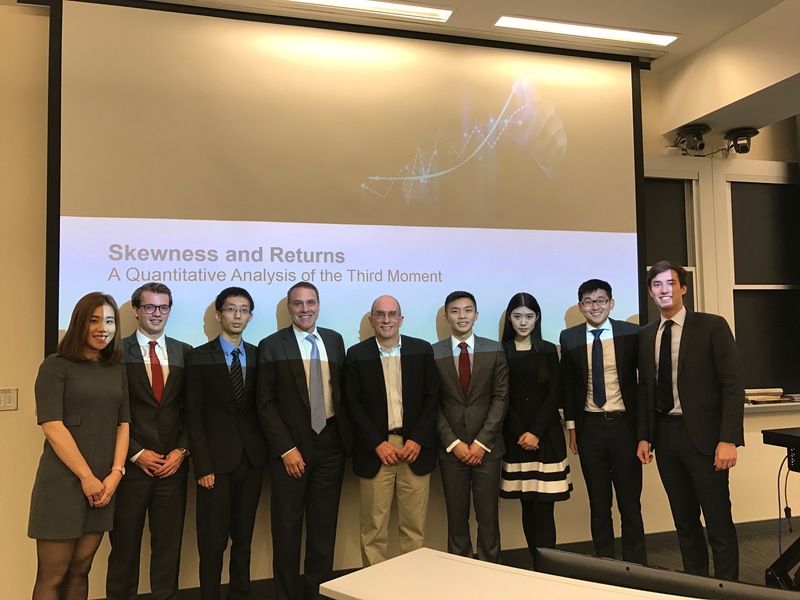 I participated in two Proseminar courses – one in corporate finance and another in Capital Markets, both of which proved to be very fulfilling endeavors. Each of the Proseminar projects are sponsored by a firm that is well-established in the industry, where the sponsoring firm sets students a topic of interest that they want to investigate. 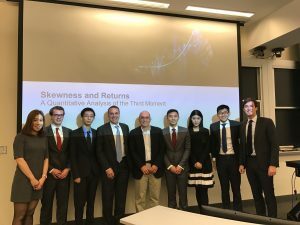 In the Proseminar project in Capital Markets, our group was tasked by the Quantitative Management Associates (QMA) to look at the relationship between skewness and ex ante returns in the equity market. The project made the finance theories come alive as we tested hypotheses and findings of previous researchers with empirical data and designed our very own alpha-generating strategy. In the other proseminar (which my team and I are still working on), we were asked by Bain & Co. to look into the universe of publicly traded alternative asset management firms and distill factors that make a publicly traded AAM firm successful. Beyond the Proseminars, I am looking forward to participating in the Finance Research Practicum during IAP and the China Lab in Spring Semester. The action learning experiences definitely made me feel that learning is not merely limited to the textbook or the classroom, but is also a dynamic process that is embedded in each and every real-world issue we tackle. Indisputably, Action Learning at Sloan is not only a great learning experience but also a true embodiment of MIT’s motto “Mens et manus”. David is a Master of Finance candidate in the class of 2017. Prior to starting at MIT, David studied economics at the London School of Economics where he first developed interests in quantitative finance. His other interest include basketball, running and traveling.